Secure message dissemination is an important issue in vehicular ad-hoc networks, especially considering the vulnerability of vehicle-to-vehicle (V2V) message dissemination to malicious insider attacks. Traditional security mechanisms, largely based on message encryption and key management, are inadequate in such an environment where vehicles frequently exchange information with other “stranger” vehicles they never meet before. In this talk, I will present our recent work on secure message dissemination considering the topological impact of vehicular networks. By incorporating the underlying network topology information, we proposed an optimal decision algorithm that was able to maximize the chance of making a correct decision on the message content, assuming the prior knowledge of the percentage of malicious vehicles in the network. Furthermore, a heuristic decision algorithm was developed that removed the need to know the aforementioned percentage of malicious vehicles, which could be difficult to estimate. Simulations were conducted which demonstrated that the proposed algorithms could achieve much better performance than existing algorithms that did not consider or only partially consider the topological information. This work sheds light on the optimum algorithm design for secure message dissemination. Guoqiang Mao received PhD in telecommunications engineering in 2002 from Edith Cowan University, Australia. He was with the School of Electrical and Information Engineering, the University of Sydney between 2002 and 2014. He joined the University of Technology Sydney in February 2014 as Professor of Wireless Networking and Director of Center for Real-time Information Networks. He has published over 200 papers in international conferences and journals, which have been cited around 6,500 times. He is an editor of the IEEE Transactions on Intelligent Transportation Systems, IEEE Transactions on Wireless Communications, IEEE Transactions on Vehicular Technology and received “Top Editor” award for outstanding contributions to the IEEE Transactions on Vehicular Technology in 2011, 2014 and 2015. He is a co-chair of IEEE Intelligent Transport Systems Society Technical Committee on Communication Networks. He has served as a chair, co-chair and TPC member in a large number of international conferences. 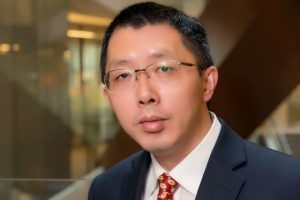 His research interest includes intelligent transport systems, applied graph theory and its applications in telecommunications, Internet of Things, next generation mobile communication systems, and wireless localization techniques. He is a Fellow of IEEE and IET.